Kinheim Rugs— Kinheim carpets started the production on September 1, 1910 & within 10 years the company had been widely known throughout Scandinavia for its artistic quality and originality. Their incorporation of oriental motifs into their own modernist designs quickly found their way to many well known venues such as the “Peace Palace” in The Hague (who acquired 15 pieces) and in 1926 the company had retained the designation “Royal”. Designer and entrepreneur Hendrik Godefridus Polvliet (1868-1923) was instrumental in establishing Holland’s Kinheim Beverwijk Handtapijtknoperij. The Kinheim carpet studio in the city of Beverwijk was by Hendrik Godefridus Polvliet and his wife Cornelia Martina Polvliet van Hoogstraten. The so-called Kinheim carpets were originally based on Orientalist designs created by Hendrik Godefridus Polvliet, but later included patterns by other designers as well. Hendrik Godefridus Polvliet’s designs were wildly successfully with 15 pieces owned by The Hague making him one of the most influential designers in the Dutch Niewe Kunst or Art Nouveau movement. The now-widow Polvliet Hoogstrate continued the business under the name “Royal Handtapijtknoperij Kinheim” and the company received much attention and recognition from the press. The company was frequently the main source for many of the top interior designers and estates throughout Europe. Many large companies and individuals, that were willing to invest large sums to acquire their pieces, gave orders to Kinheim as their carpets were known for their durability and beautiful designs – some of which were the creations of various artists (such as: Jac. van den Bosch, CA Lion Cachet, Theo Nieuwenhuis and Dirk Verstraten) and stood head over heels above those of other carpets. In 1942 the company passed into the hands of Corn. van den Brink from Hilversum and took place even expansion. 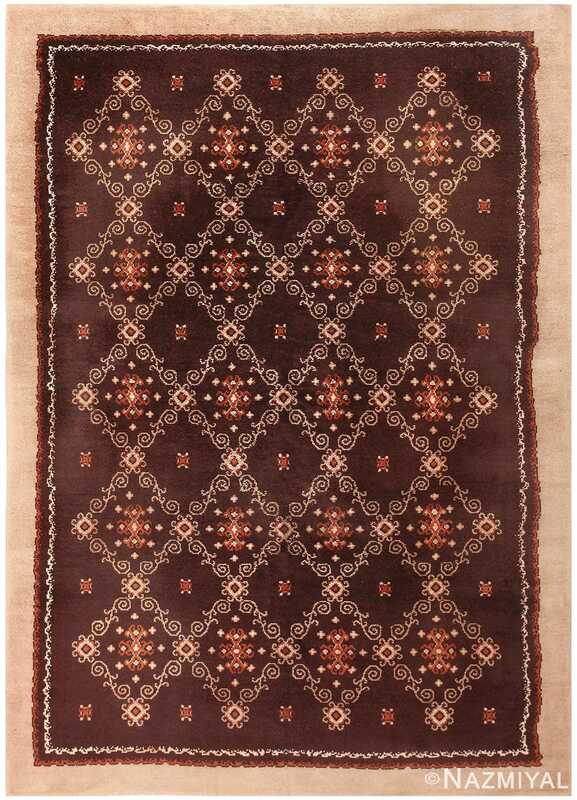 Over the years, the craft was too expensive and eventually it was replaced by the hand-knotted carpet factory in 1973.